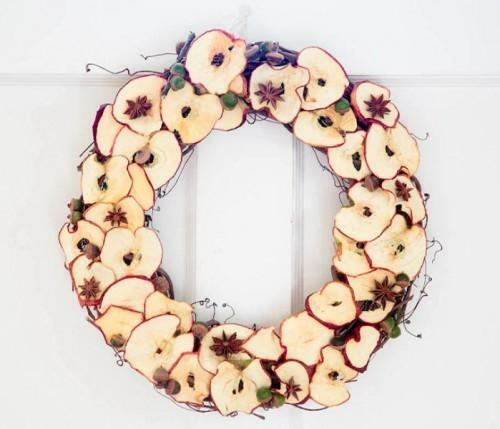 Here is a collection of beautiful home decor ideas created with apples. 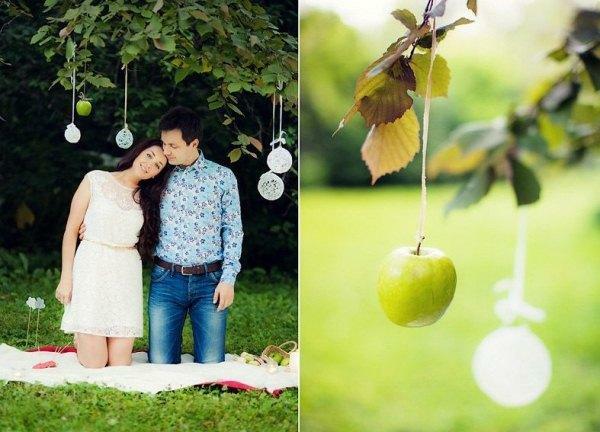 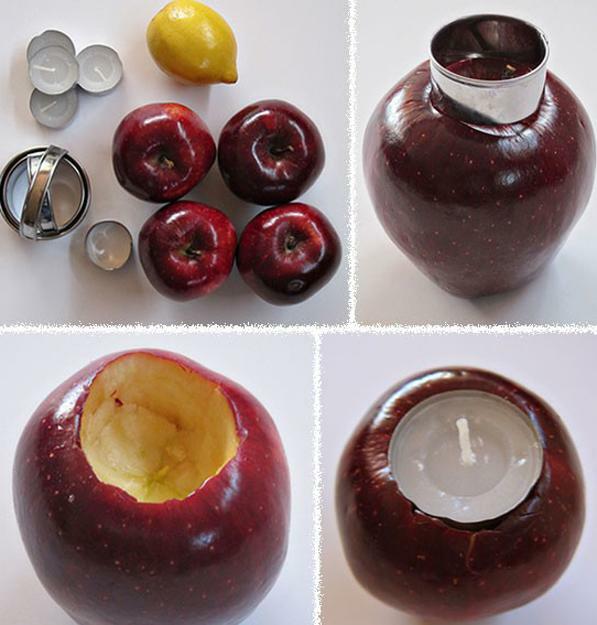 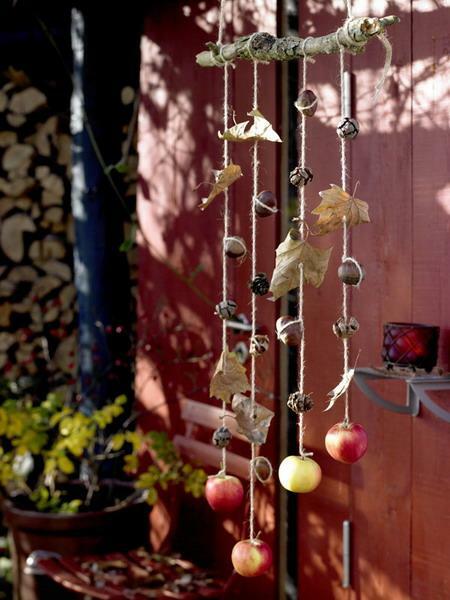 Outdoor and interior decorating with apples is cheap, interesting and inspiring. 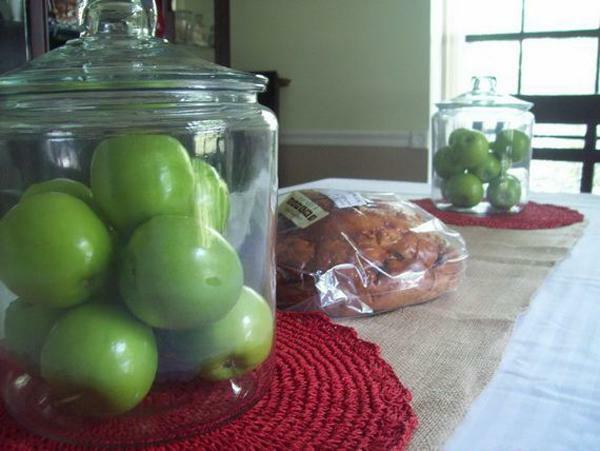 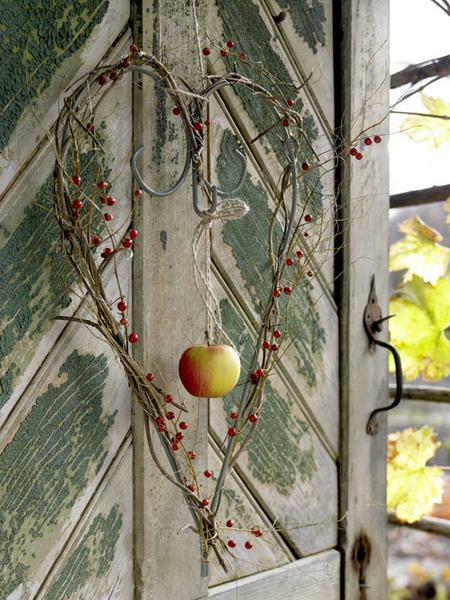 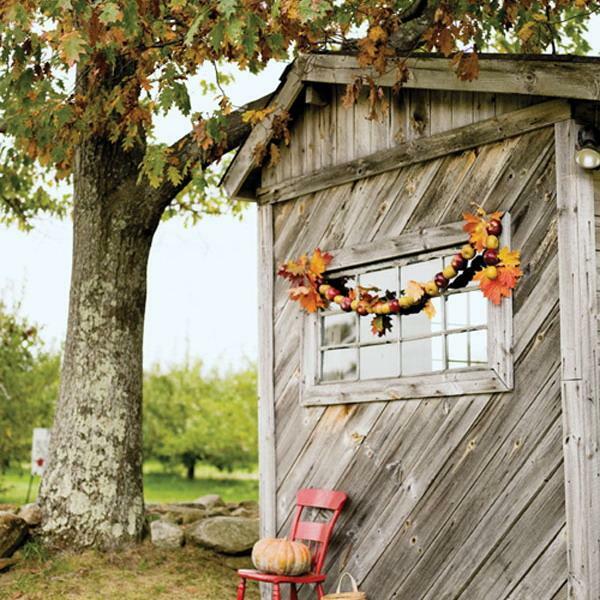 Apples are wonderful for fall decorating in eco style. 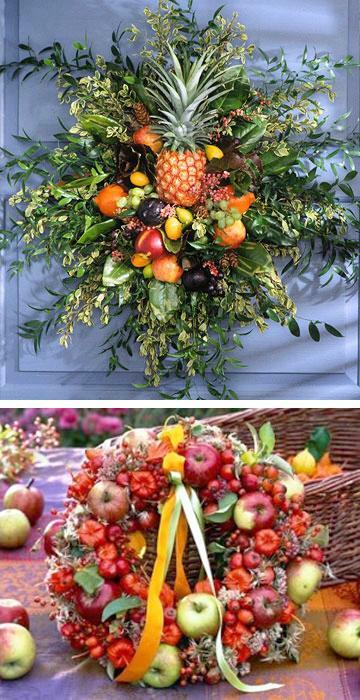 These fruits in yellow, red and green colors bring fabulous, universally appealing shapes and amazing aroma that enrich home decor. 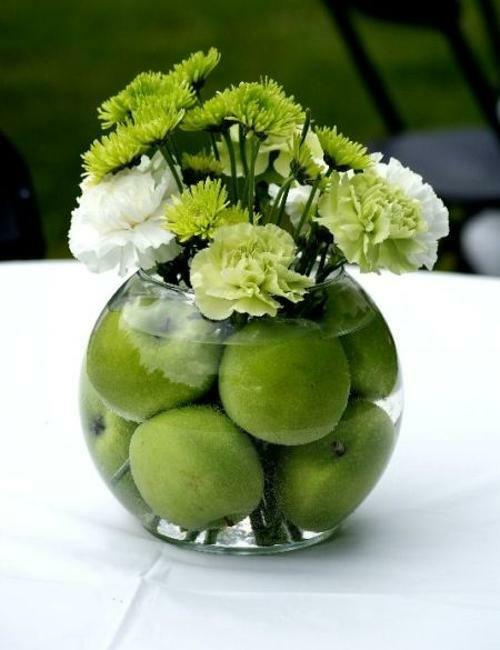 Perfect for Thanksgiving decorating and creating table centerpieces for any special event in fall, apples look casual and bright at the same time, and can be used for every day interior decorating also. 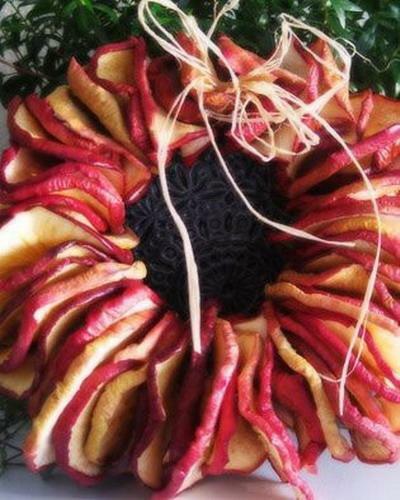 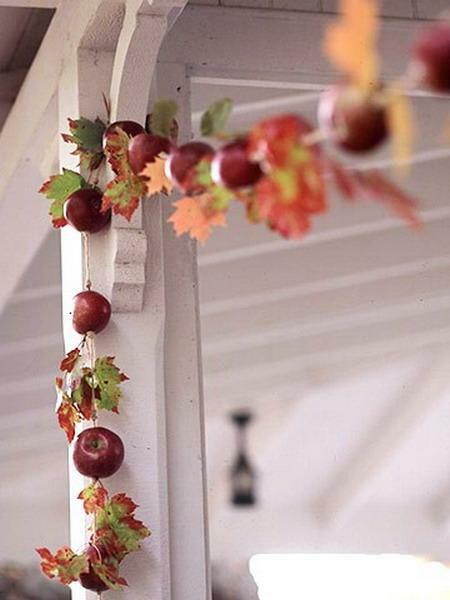 Fall decorating with apples can include making garlands, wreath, table centerpieces and candle holders which give unique and beautiful look to any home decor. 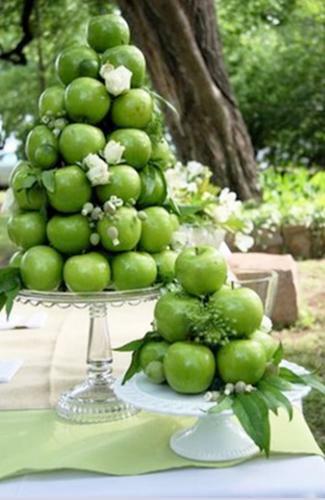 Apples creates a sense of freshness and abundance. 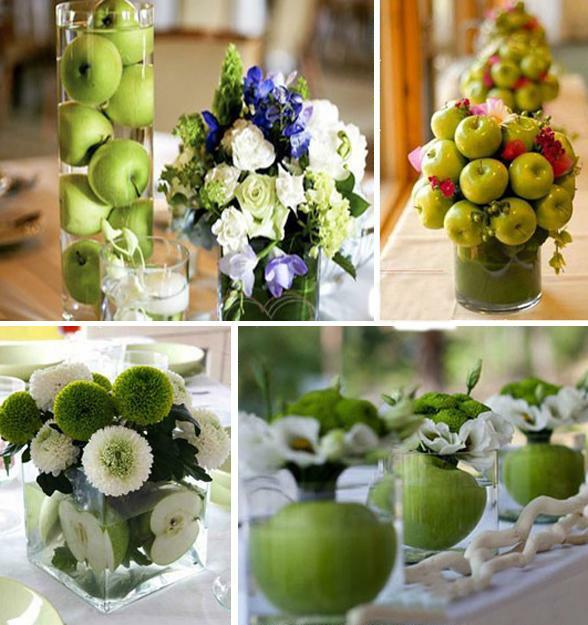 Apple decor ideas are stunning and tender, classy and novel, symbolic and playful. 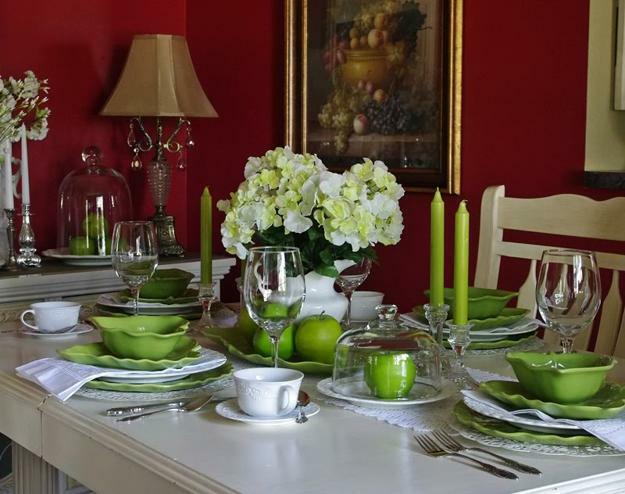 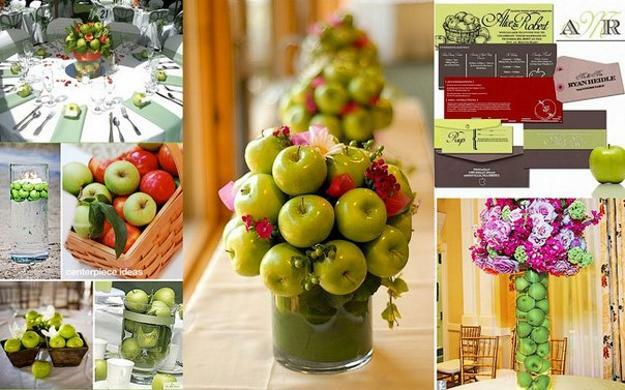 The combination of yellow, red and green apples with colorful fall leaves, twigs, tree bark, grass or moss looks fantastic, bringing charming elegance of nature inspired table centerpieces into modern homes. 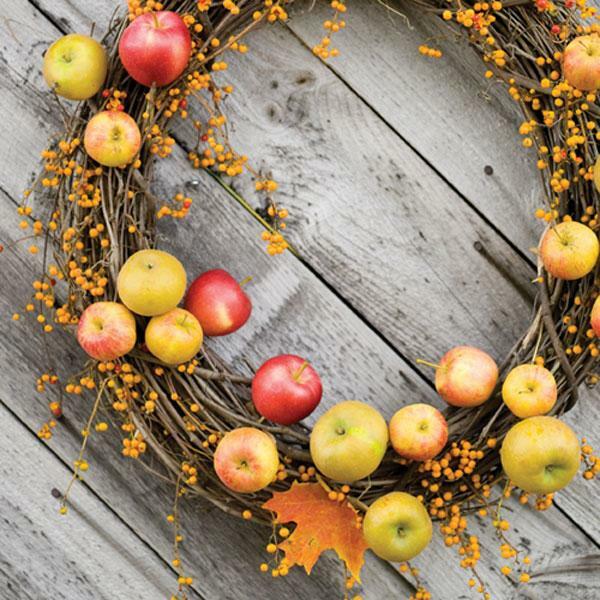 Apples in yellow, red and green colors are perfect for fall decorating. 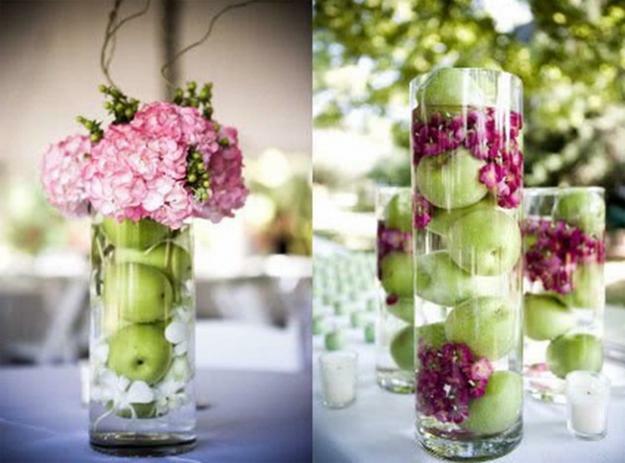 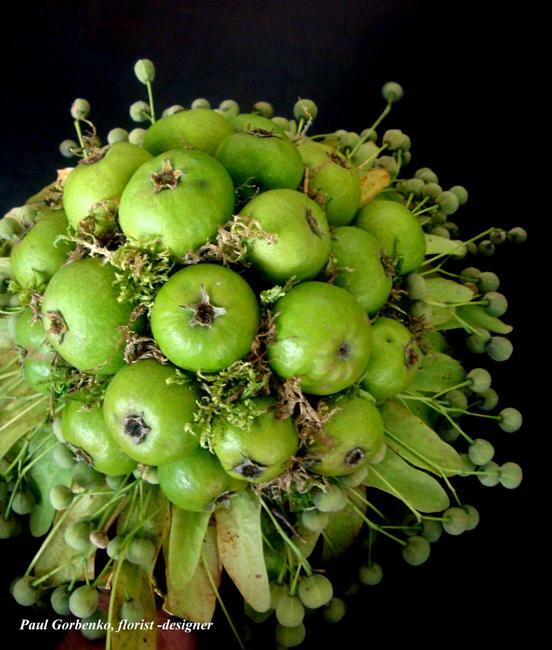 Creative fruit bouquets and glass vases with apples make gorgeous table centerpieces. 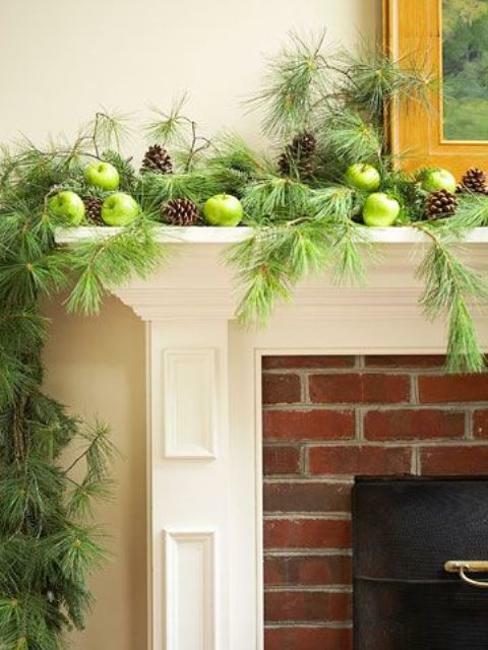 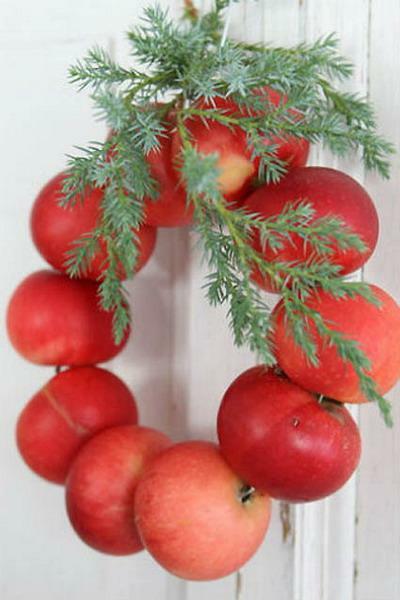 Door wreaths or garlands add natural chic to modern interior decorating. 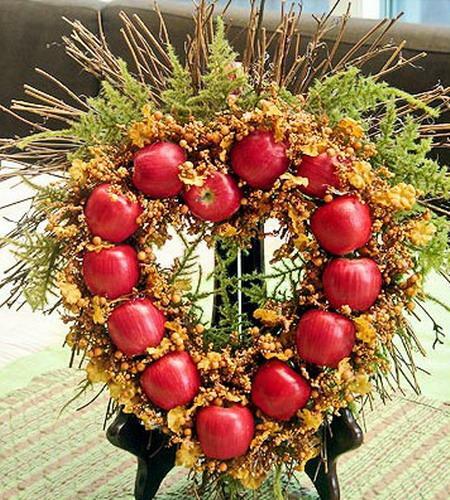 Apples look in harmony with autumn vegetables, like miniature pumpkins and gourds, nuts, fall fruits and berries, offering great craft ideas for creating nature inspired table centerpieces and home decorations in eco style. 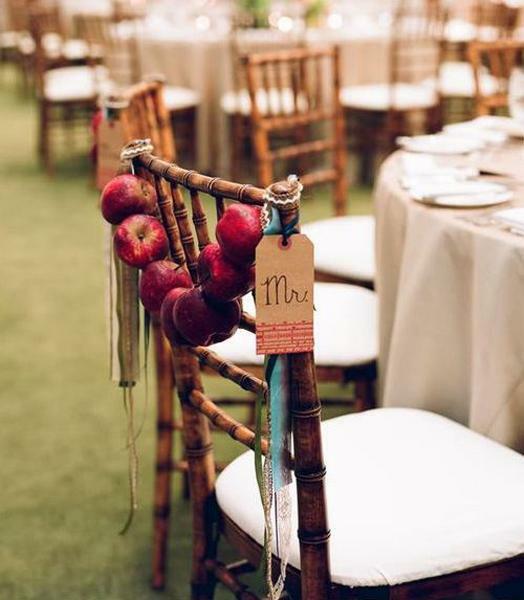 Apples add charming details to table decoration. 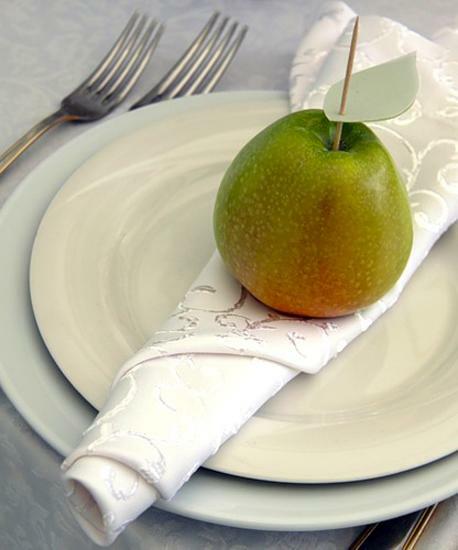 Wrapped in a white cloth napkinsm apples are perfect for Thanksgiving decorating. 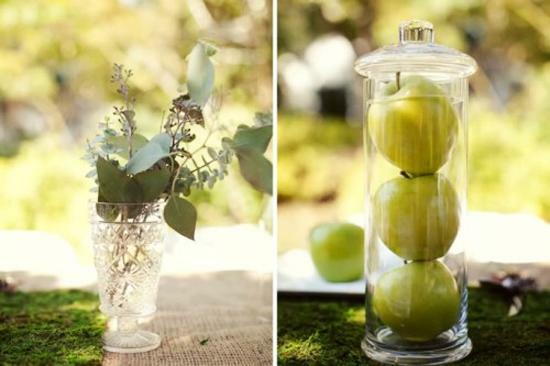 Placed in a glass vase and combined with greenery or fall flowers, apples create beautiful table centerpieces for wedding and birthday parties in fall. 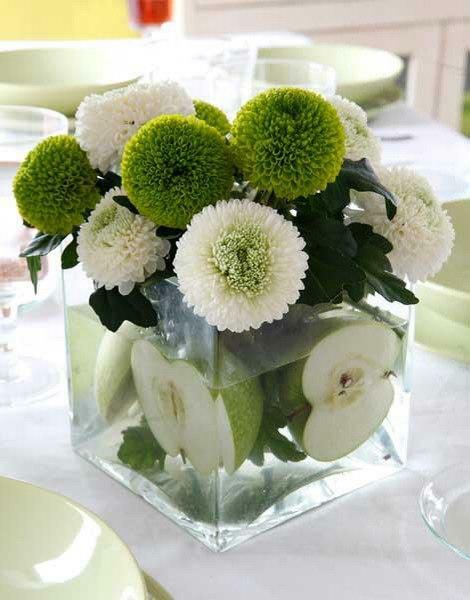 Apples are ideal individual table centerpieces. 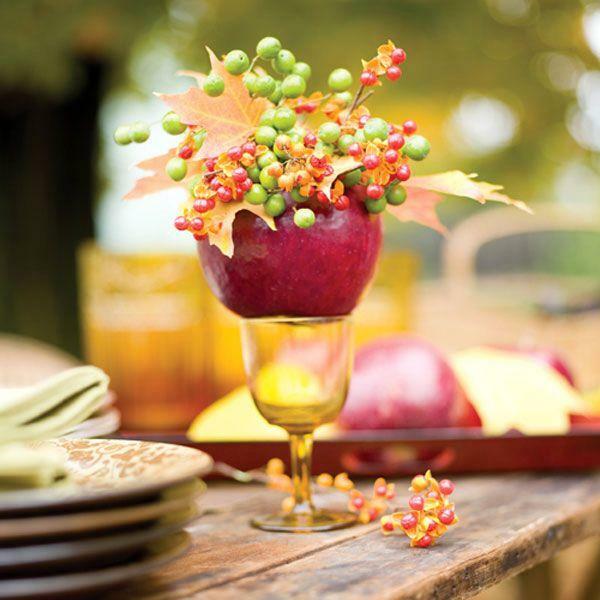 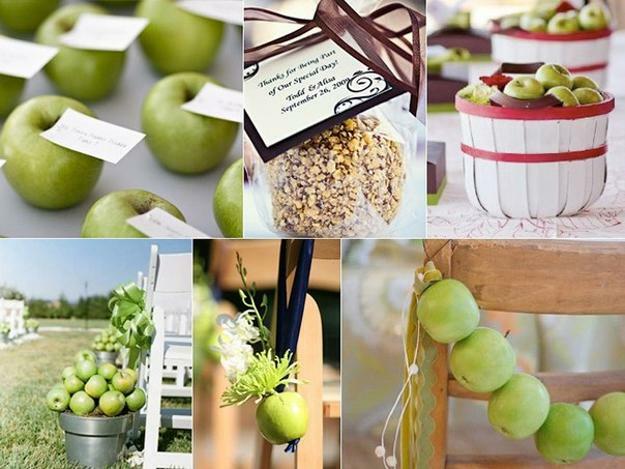 Adorned with a ribbon, bow or attached to a place card, these fall fruits create spectacular table decor. 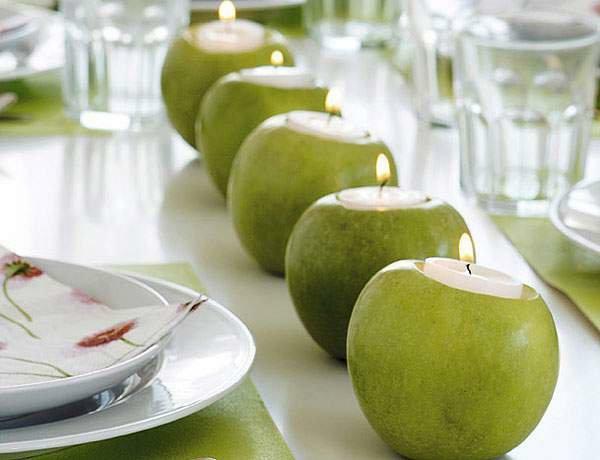 Apples can be converted into unique candle holders that add an artistic touch to holiday table decor. 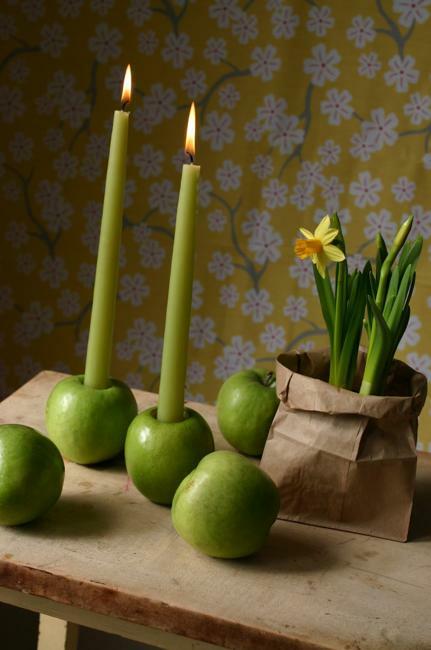 Wonderful for using with any candles, apples look especially charming with miniature tea candles. 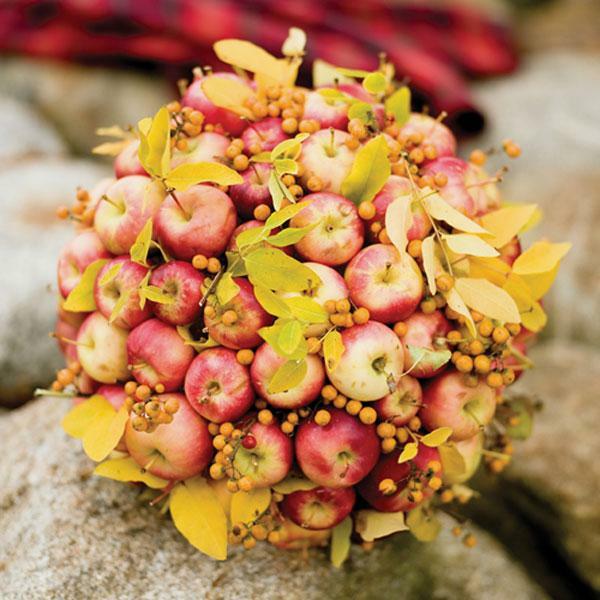 Also these fruits can be used as small vases for fall flowers, adding fantastic individual table centerpieces for remarkable Thanksgiving decorating.